The weather in Britain is generally unpredictable but we're never too far away from rain or a cold snap. Yet the winter rolls round every year and I find myself completely unprepared and having to rummage through drawers for hats, scarves and fluffy socks. Suddenly it goes from cardigan weather to frost overnight and that's certainly been the case in the last week. With this year being our first on the school run I realised we were going to have to be that little more prepared this year so we managed to get sorted with coats, hats and wellies at the beginning of the Autumn. 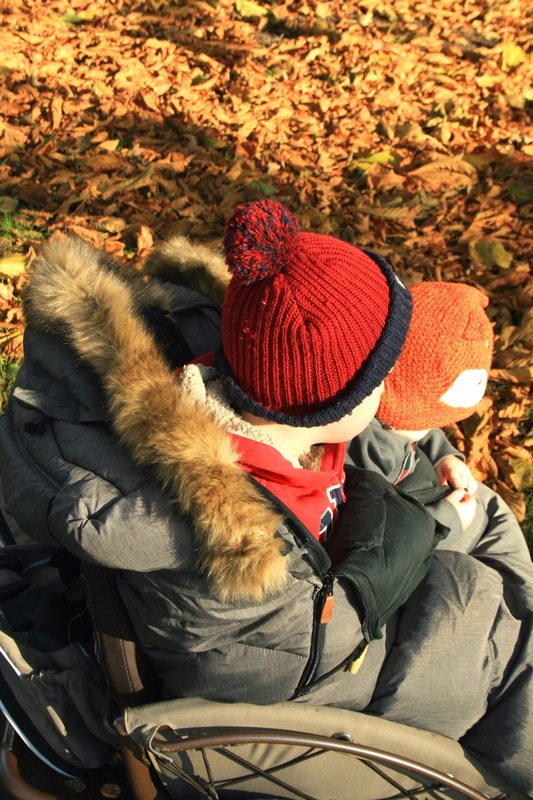 I think when you have very little people as well it makes you a lot more aware of the need to keep them warm and cosy when they need to be - and thankfully they're much less likely to argue with you about wearing a coat! 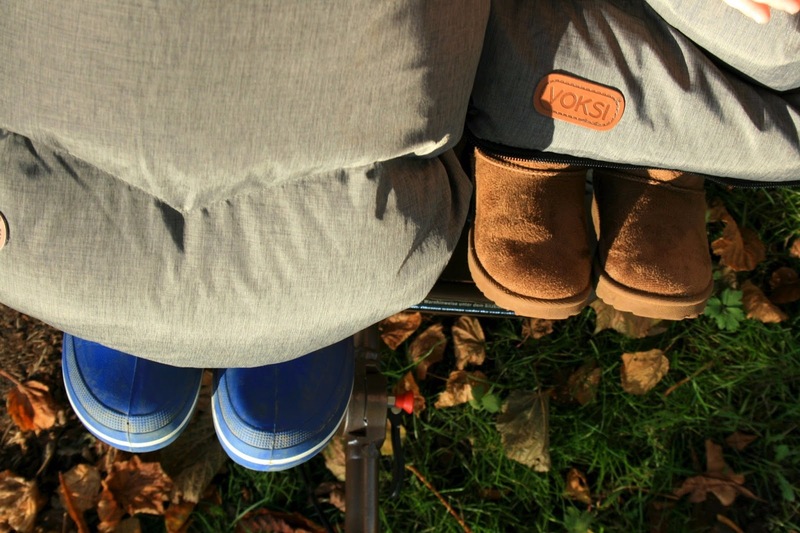 One thing I really wanted this year was a cosy foot-muff for Little E. Last year we went to all kinds of places with the boys and although we used a fleece type foot-muff I just didn't think it was warm enough for the frosty mornings and chilly evenings out at Christmas fairs. 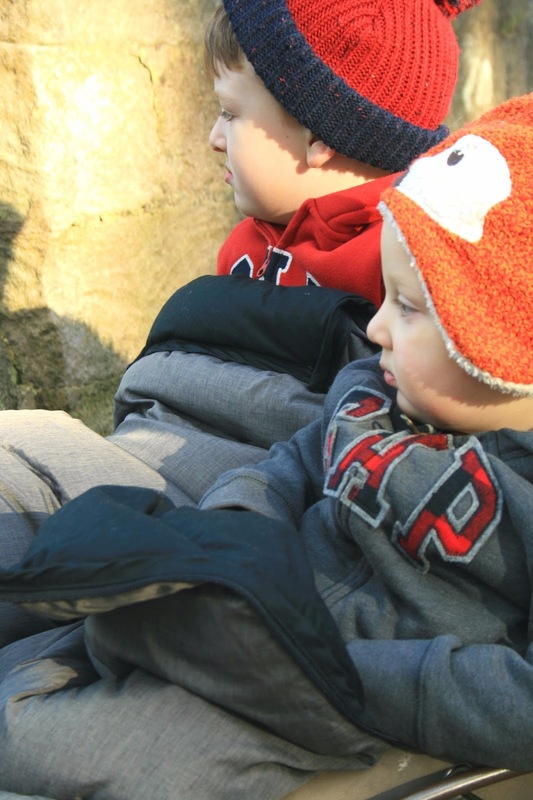 I think despite the cold weather, getting outside really is the best for children and this one has proved to be a very outdoorsy little chap. He's always desperate to get into the garden and will sit by the front door to go out pretty much as soon as we've come in! At the perfect time Voksi got in touch and asked us to try some products from their range. Voksi is a Scandinavian Company producing products for children with a strong emphasis on creating comfort and using natural materials as much as possible. 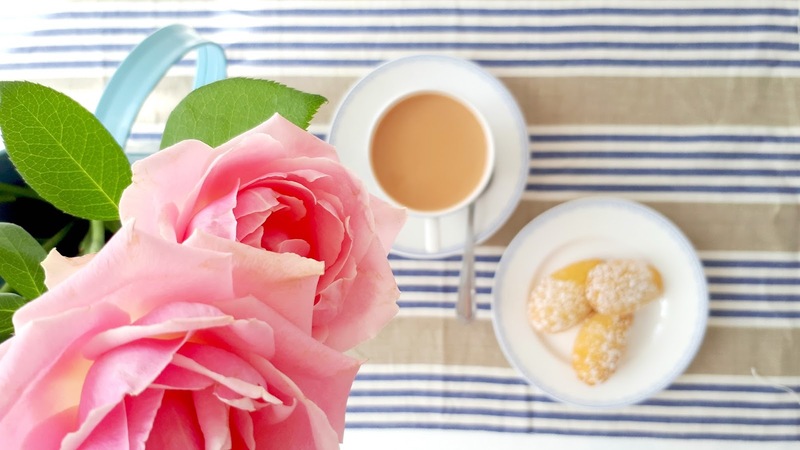 The company has been around for over 30 years and prides itself on creating stylish designs that are practical and reflect their passion for natural comfort. The company is a completely new discovery for me but after looking through their website I definitely wished I'd found them sooner! 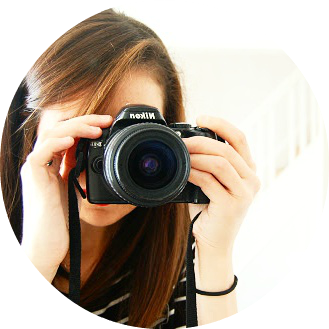 Their main products are sleeping bags for children and their Ida Ising changing bags which double as a portable changing station; they also do a small range of pacifiers and bibs. I've never seen such a great range of foot-muffs for children, especially ones that go up to age six! There is a variety of designs and fillings depending on usage; The Summer Colibri ones are in a lighter cotton and from there they go all the way up to the feather and down Urban styles for Winter. I have always found feather and down to be the best when it comes to keeping warm in very cold weather. The way it insulates and retains heat is second to none and something I always look for in a Winter coat. 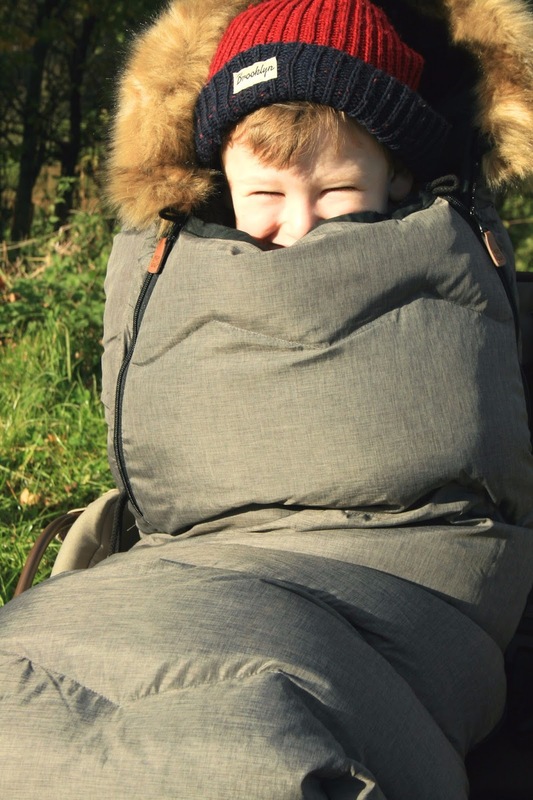 I knew a feather sleeping bag would be perfect for cold days out so I chose the Urban Fox, for both boys, as we now have the Yippie Yo buggy and thought they would be perfect for it! 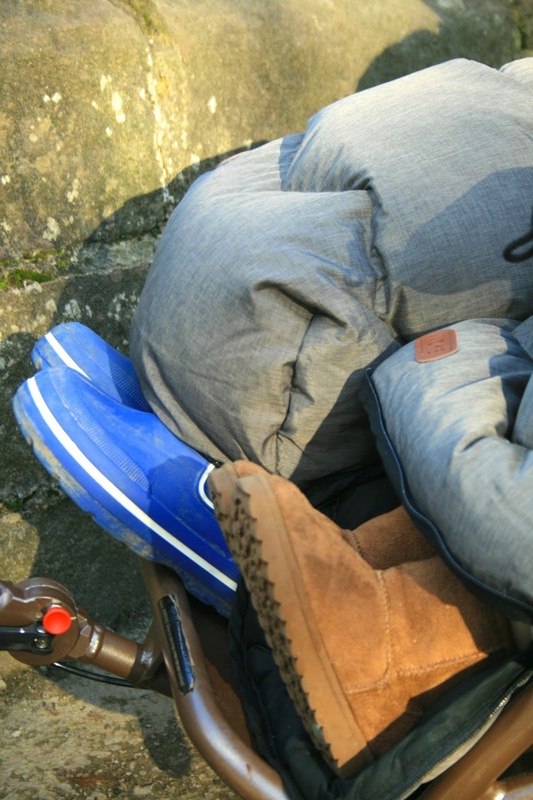 I couldn't wait for them to arrive and we weren't disappointed when they did; These foot-muffs are, to me, the ultimate in luxury child comfort and style, but equally very essential if you want to keep them very warm while out and about. They come in some beautiful colours but I eventually went with Melange Metallic and I'm really pleased I did, as it is a gorgeous colour. The Urban Fox foot-muffs come with two front extensions which mean there's no need to buy another foot muff once your little one grows out of it. The front simply unzips and the bigger size can be zipped on; this is one of my favourite features. The lining is 100% cotton and while the bottom is filled with soft wool, the top is a mixture of cosy feather and down for serious warmth. The soft fleece penguin pillow is adorable and can be easily removed by the Velcro fastening. The fur detail on the hood is so soft but can also be removed if preferred-I personally love it. There are pre-cut holes for seat harnesses of course and the back has anti-slide fabric to stop it slipping down whilst the child is in the buggy. Another thing I absolutely love is that not only are they a very generous size to accommodate the taller child but the bottom can be partially unzipped to allow muddy boots or shoes to poke out- it's a great feature especially if you have kids that want to hop in and out of the buggy. I was desperate to get the boys out in their new bags but the weather decided to stay noticeably mild; Despite hoping for frost the last few weeks have not been cold at all, it's only in the last week that there has actually been a real chill in the air, but again that's the British weather! 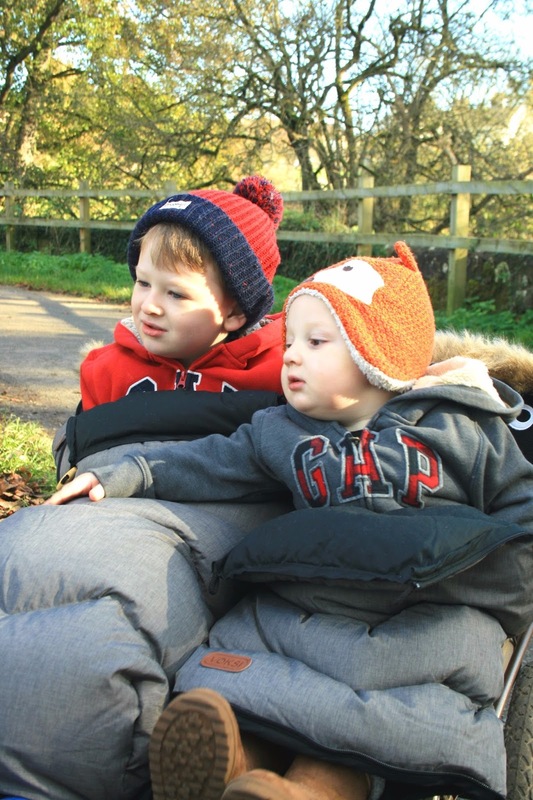 As soon as the weather changed I decided to get the boys out and see how how my two little foxes liked their foot-muffs, so we set off for a walk with the buggy. Getting the boys belted in wasn't easy as the top part of the Yippie Yo straps don't unhook however I managed to get their belts on using the bottom part which I felt was safe enough. They were both quite snug but definitely warm! TJ is very tall for his age, like his Daddy; he is only five but is already in age six to seven clothes which should give you an indication on his height! The Urban Fox goes up to age five so he is on the edge of being a little too tall, however being able to open the bottom was the perfect solution and I think something he would have actually preferred to do anyway given his age. Again Little E is on the taller side; at 18 months the small extension was just a bit on the small size lengthwise however again it worked fine having his feet out which was ideal for the kind of walk we were on and for use in the buggy. The larger extension fits generously of course, which is what I'd usually use for him in his own pushchair; I'll share more of the foot-muffs in the Baby Jogger here later. Something I noticed quite clearly was that there is a real sense of attention to detail in Voksi products. They have clearly put a lot of thought into functionality and design. 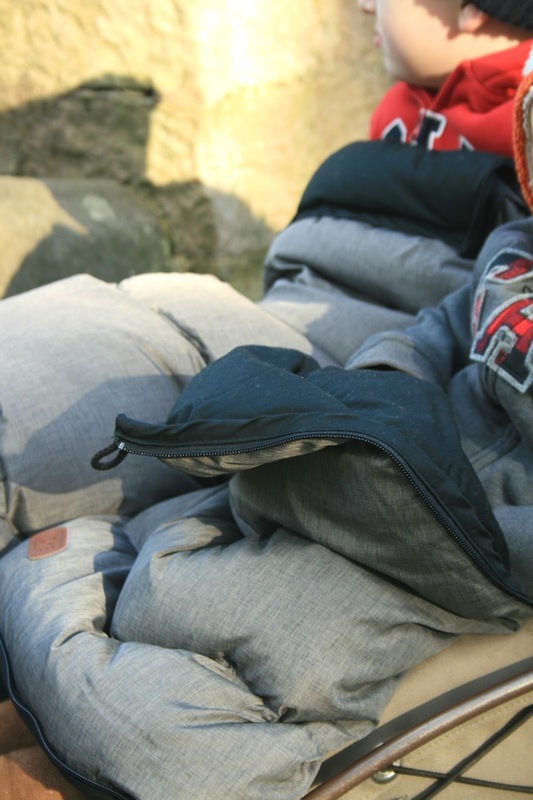 Simple things like the easy to use zippers and wooden toggles on the sides for keeping the top part folded down when needed make such a difference. Voksi have also recently obtained the Oeko Tex 100 Class One Certification- if you hadn't heard of this one before (like me) this is an independent testing system for textiles at all stages for substances or chemicals that may be harmful; for Voksi this means that every single part of their product has been assessed from beginning to end, including any dyes or components, and has been certified at a Class One standard for babies and toddlers giving it the confidence in textiles stamp; so you know that your little one in snuggled up safely without having to worry about any nasty chemicals in the fabric they are snoozing in. Keep warm and cosy !